Any TDI gurus in Phoenix anymore? Specifically in the West side Buckeye, Goodyear/Avondale, Litchfield Park area? 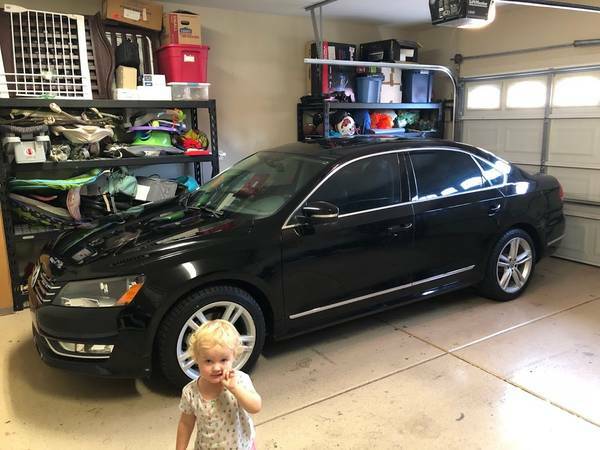 My son recently bought a 2015 Passat SEL TDI with the phase-1 fix and the extended warranty on all the expensive stuff. He loves the car. He does his own basic maintenance (oil & filter changes). I have him buying his supplies and parts from IDParts so he's good there. He will need a DSG service later this summer and I don't want him to go to a dealer for that and pay through the nose. He takes his car to the VW dealership at the Avondale Auto Mall for warranty work. No problems with that. With a knowledgeable helper/mentor, fluid fill tool, a VCDS, and a way to lift the car off the ground at least a foot and keep it level, the DSG service is a good afternoon project. Those are the things he will need. My car being a 6-speed manual I never had the chance to learn the DSG fluid change procedure so I'm no help. Otherwise I'd just do a road trip and help him out. Any leads, suggestions, pointers, etc will be greatly appreciated. My favorite photo because one of the granddaughters photobombed it. Drive more and worry less. Last edited by BKmetz; February 25th, 2019 at 07:59. So, this is totally unhelpful, but I don't know anyone on the West Side. Do you know anyone in the Phoenix area at all? Derek at Exklusiv Motorsports in North Phoenix seems to know these cars well. At least the older models... I've had him do my timing belts. And he's a really good guy. I assume he works on all of them and he's listed in the trusted mechanics thread. I don't know anyone on the west side, but Derek at Exclusive motorwerks now renamed Autobahn Mortorwerks I have had positive experience with. If you visit his shop, it's like an automotive museum there; there's about 50 various Audi/VWs.